Boxer primer is the most popular primer style in the United States, due to its ease of reloading – also making it the primary choice among military and civilian ammo manufactuers. Created by Edward Boxer, this popular ammo was patented in England in 1866 and in the U.S. in 1869. The weapon's firing pin strikes the base of the primer cup, which causes the primer mixture to be crushed against the anvil. This creates a flash that goes through the flash hole, igniting the powder in the cartridge. Today, these primers are created by the millions in various factories around the world. They are typically used with brass casings, and are found in the sizes below. 0.175” or 4.45mm: Small diameter pistol or small rifle primer such as .38 Special and .223 Remington. 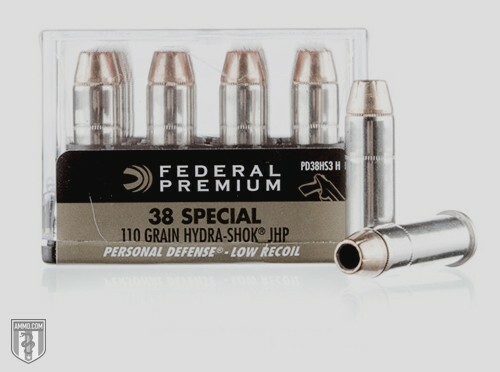 0.209” or 5.31mm: Shotgun shell and muzzleloader primer such as 12 gauge and 20 gauge shotgun ammo. 0.210” or 5.33mm: Large rifle or large pistol primer such as .308 and .44 Magnum. 0.315” or 8mm: These are exclusive to the .50 BMG and variations. The primer size is determined by the cartridge’s primer pocket, which is the opening at the bottom of the cartridge case. A difference you can see when comparing pistol and rifle primers is how thick the primer’s cases are. Pistol primer cases won’t be subjected to as much pressure as their rifle counterparts – which means they will be slightly thinner and easier to ignite. Boxer cases don’t accept Berdan primers and vice versa, which is due to the anvil being a permanent part of the Berdan-primed case. With that being said, reloading enthusiasts can get them to work with each other through a labor intensive and rather complicated process. However, it’s much easier to simply use the proper case with the proper primer. This reloading issue is one of the main reasons shooting ranges almost exclusively use Boxer primers and brass casings. Some of the more commonly found primers are made by Remington, CCI and Winchester. Primers give today's shooter a huge advantage over other methods of ignition. They are reliable, weather resistant and can be stored for an indefinite period of time.